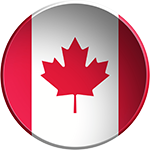 TORAZA in partnership with the Canadian Council for Public-Private Partnerships (CCPPP), is now offering the CP3P Preparation (Level 2) Training and Examination in a totally new delivery model. For the first time, APMG’s CP3P Preparation Level 2 Training and Examination are now available through a Virtual Learning Experience and Boot Camp. Participants can now register to take the training through a Virtual Learning Experience over a period of 4 weeks from the comfort of their own space. 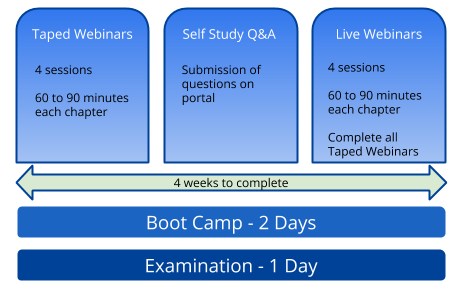 By registering, participants will have access to taped webinar sessions for each Chapter which they can review at their own convenience. In order to allow participants to have an interactive experience, questions can be submitted by the participants which will be compiled and addressed in a live and interactive webinar session with one of our accredited trainers. Upon completion of all 4 sessions, participants have the option of self-studying to sitting for the examination online directly thought APMG. The first module will be released in September 2018. Optional for all candidates. For those seeking a more interactive opportunity, TORAZA will be hosting an exclusive 2-day intensive Boot Camp followed by a day to sit the examination. The Boot Camp will focus on offering the participants intensive revision of all the material required to sit for the Preparation Level exam while benefiting from face-to-face interaction with other professionals and the trainer. Participants who choose not to embark on the Boot Camp experience will be eligible to self-study and sit for the exam online directly with APMG.